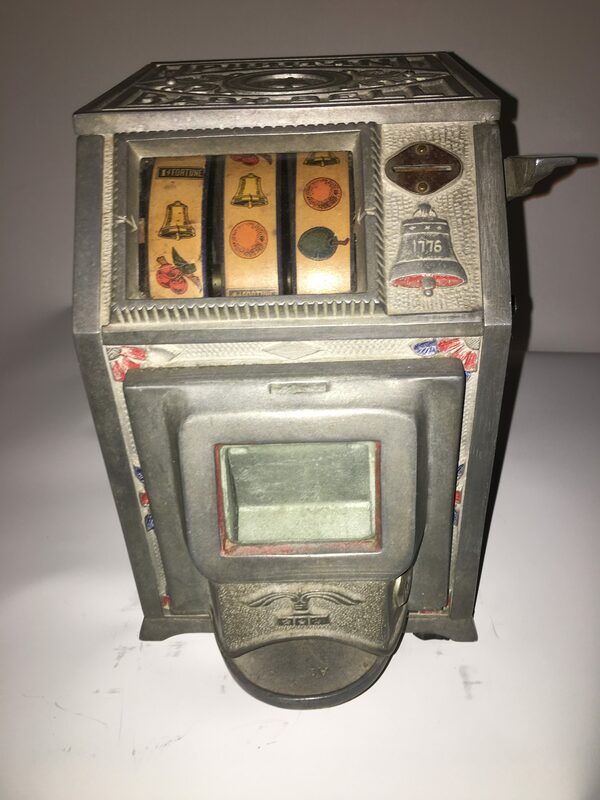 Up for sale is a circa 1930s 5 cent “Puritan Baby Bell” Trade Stimulator w Jackpot front manufactured by the Chicago Mint Company. 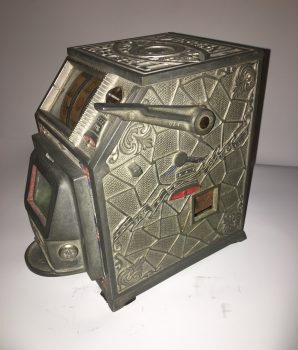 Deposit a nickel into the coin slot, pull the handle and watch the reels spin. 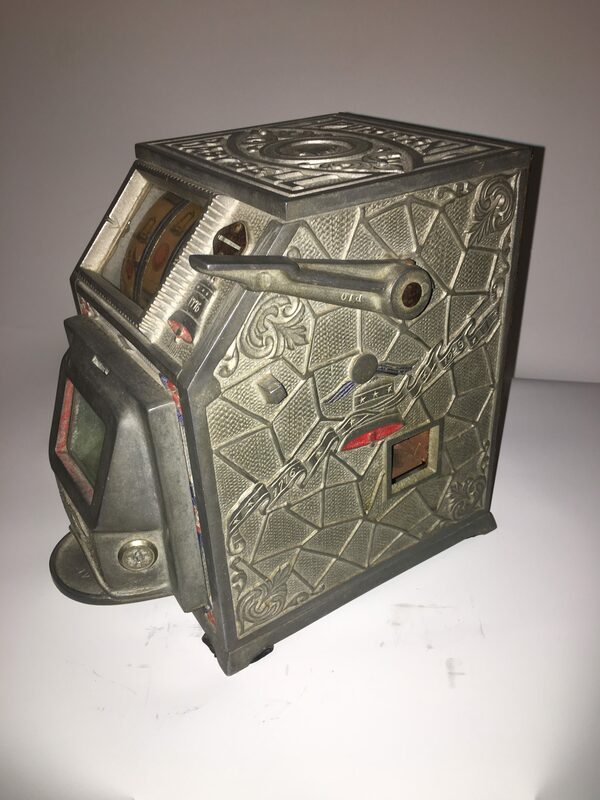 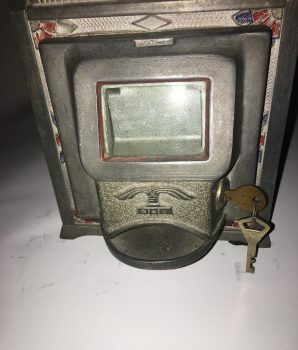 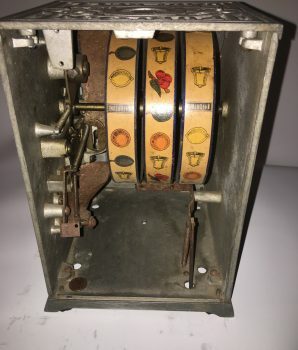 The 1929 genuine Puritan Baby Bell Trade Stimulator w/ Rare Jackpot includes original reels, original award card, comes with both locks with keys. 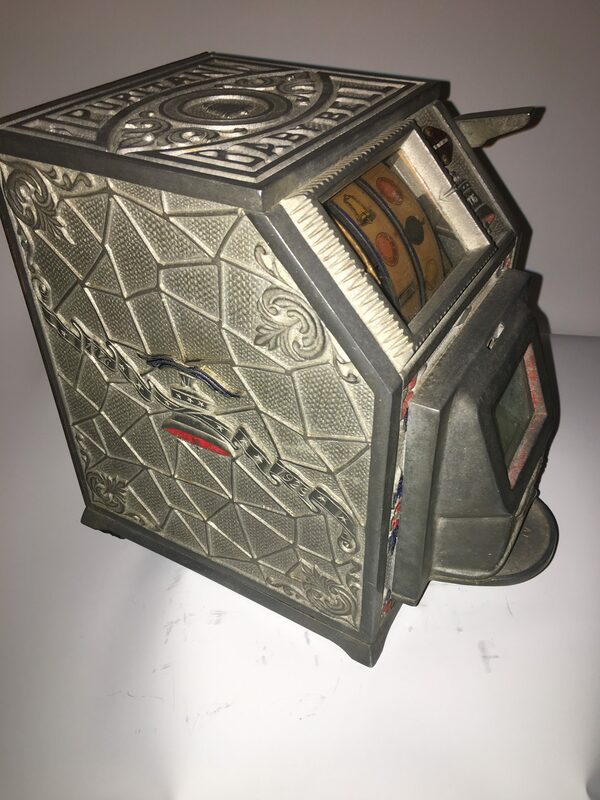 ORIGINAL trade stimulator in good working condition. 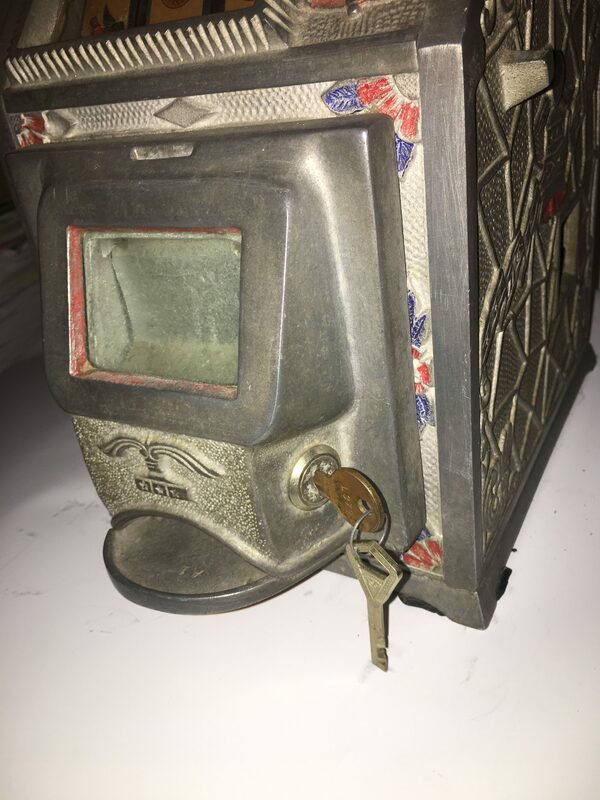 Has a jackpot lock and back door lock. 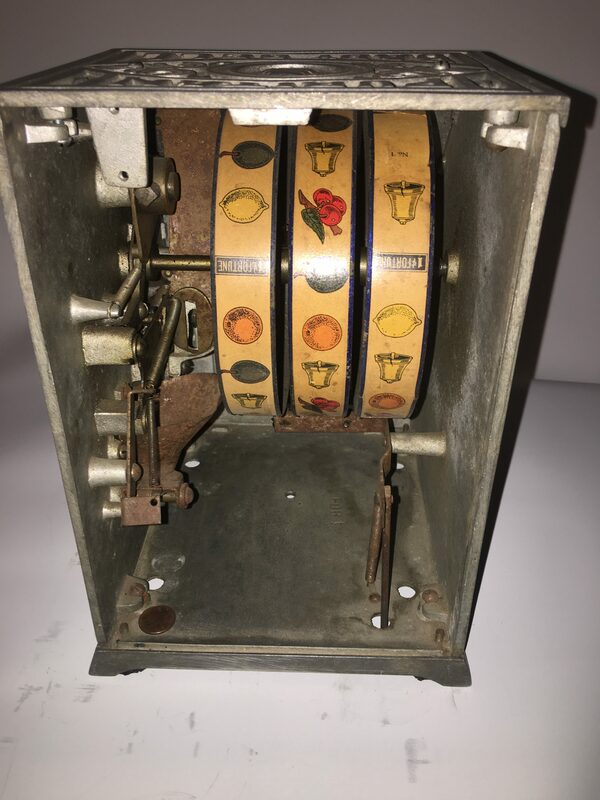 Below the nickel coin slot is a bell with the date 1776 inscribed. 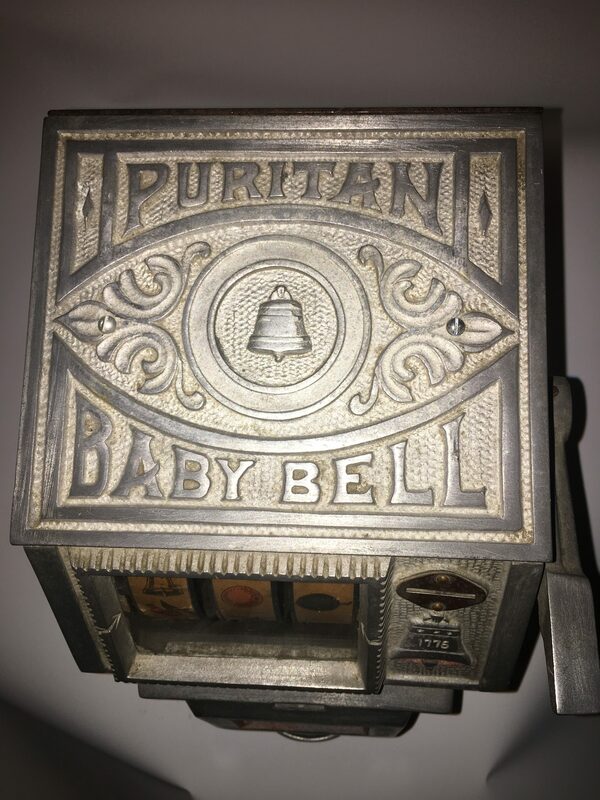 Beautiful Puritan Baby Bell and logo on top face of the coin operated trade stimulator machine. 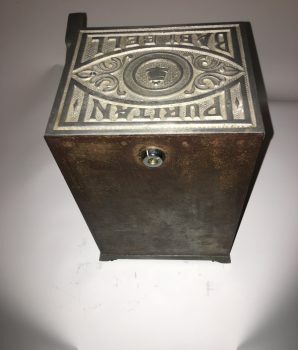 Ornate bell emblems detail both sides of the machine. 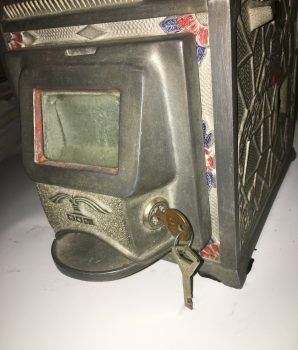 Exactly the way you want to find them. 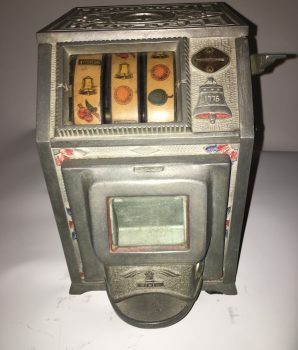 Countertop trade stimulator. 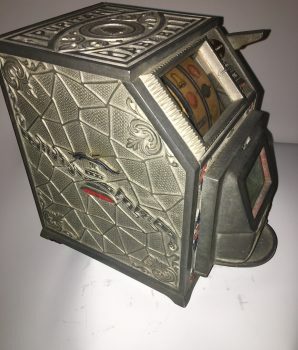 Rare and original. 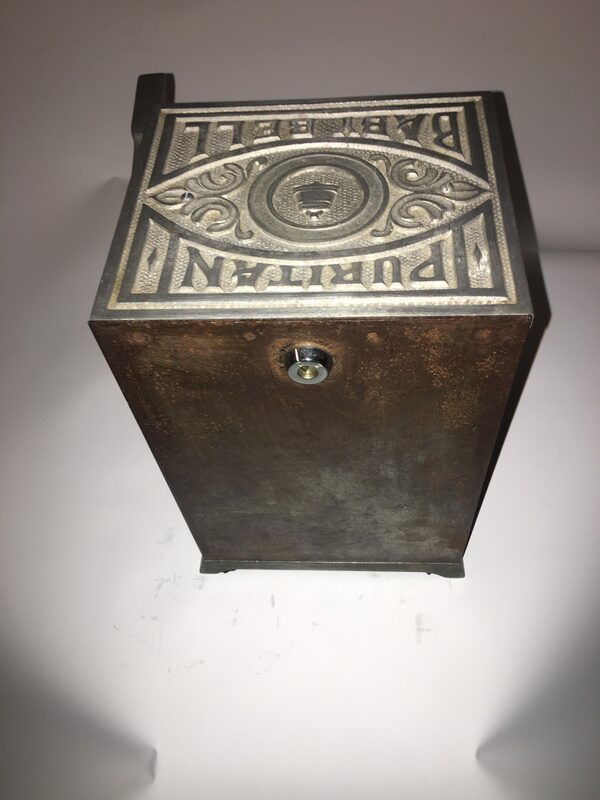 Shipping and handling: $60 (US) Please call for global shipping quote. 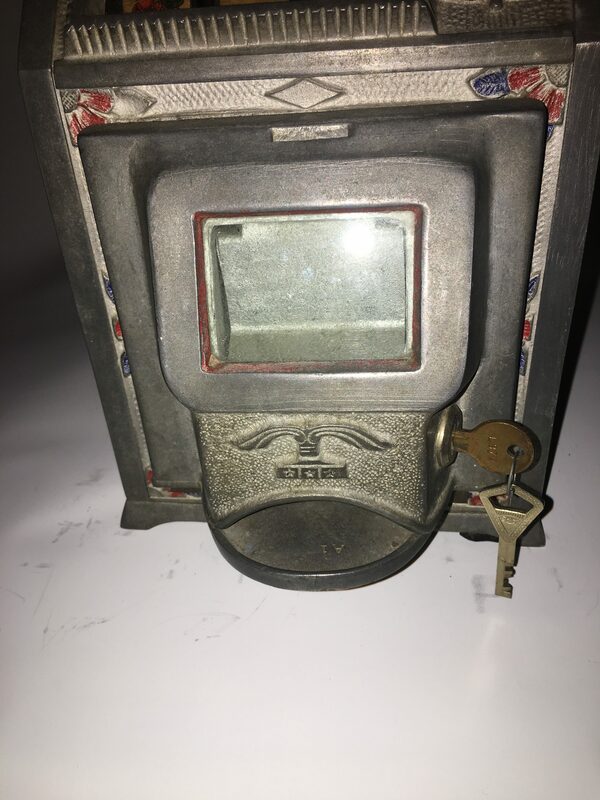 View photos for more details about the item and its condition. 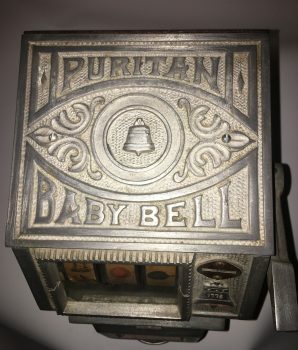 View our other Puritan Bell trade stimulators for sale like the the Puritan Confection Vendor and Mills Puritan Bell.